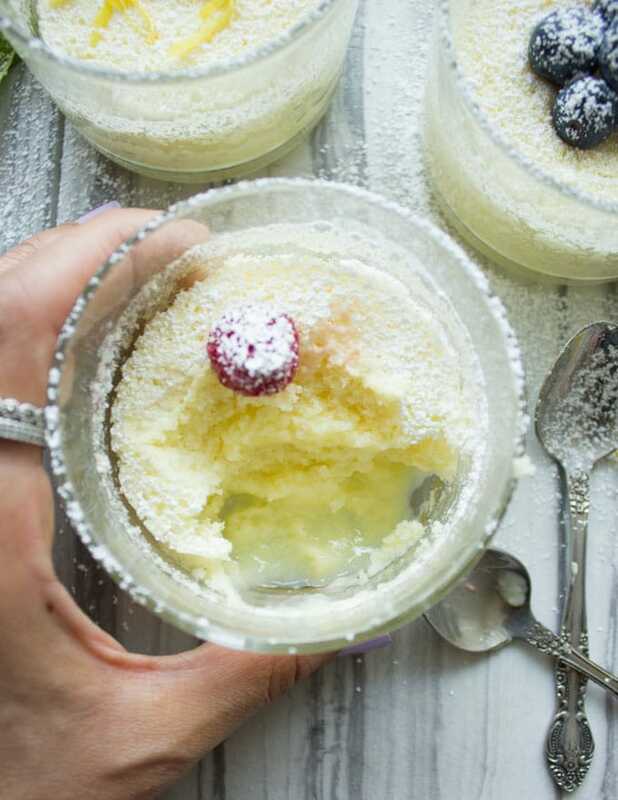 You gotta try this recipe for my favorite Mini Lemon Pudding Cake. It all comes together in one batter and once the mini puddings bake, the batter starts to separate into two luscious layers. Here’s one of those recipes everyone needs to make, especially now with Spring coming up! It’s a refreshing, not too sweet yet divine and creamy, very tender, fluffy and delicate lemon pudding cake. If you’re an orange or grapefruit person, this recipe works just as well with those. We’ve got a few fun Birthdays happening in March. 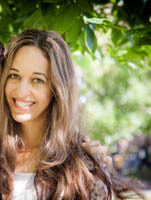 My sister was early this month, and my oldest daughter is at the end of March. Last year we made these Easter Colored Cake Pops for my Birthday Girl and she LOVED them. This year however, she said she wants something floral. She’s seen a few of those fun number cakes that are popping up on Instagram, so we’ll try! If I had to a birthday dessert for my lemon-loving daughter, I would pick this easy lemon pudding cake. As cheesy as it sounds, but she really does love it and she loves everything lemon! 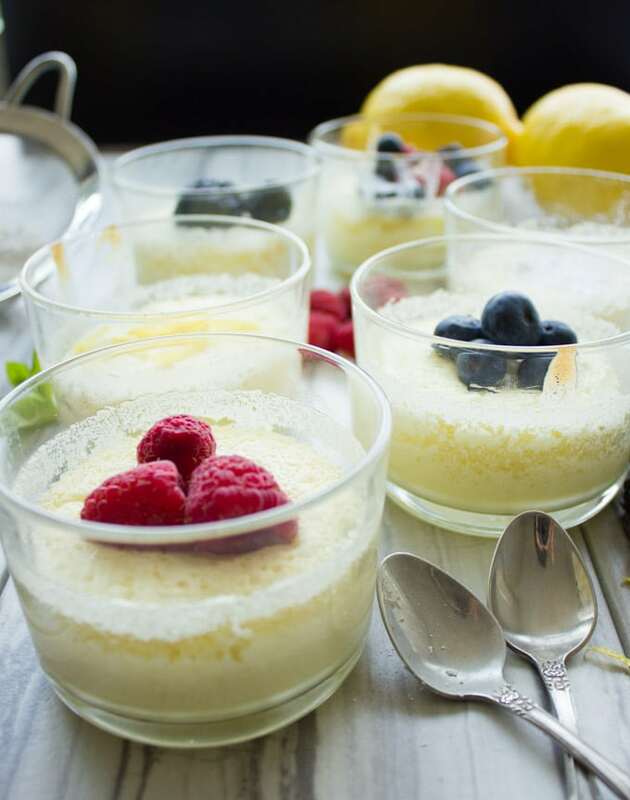 It’s a refreshing, not too sweet yet divine and creamy, very tender, fluffy and delicate lemon dessert. Half cake and half pudding thanks to some serious baking science magic. If you’re an orange or grapefruit person, this recipe works just as well with those. Once out of the oven, you’ll find a tender fluffy lemon cake layer at the top of your cup. This cake is divine as it is. 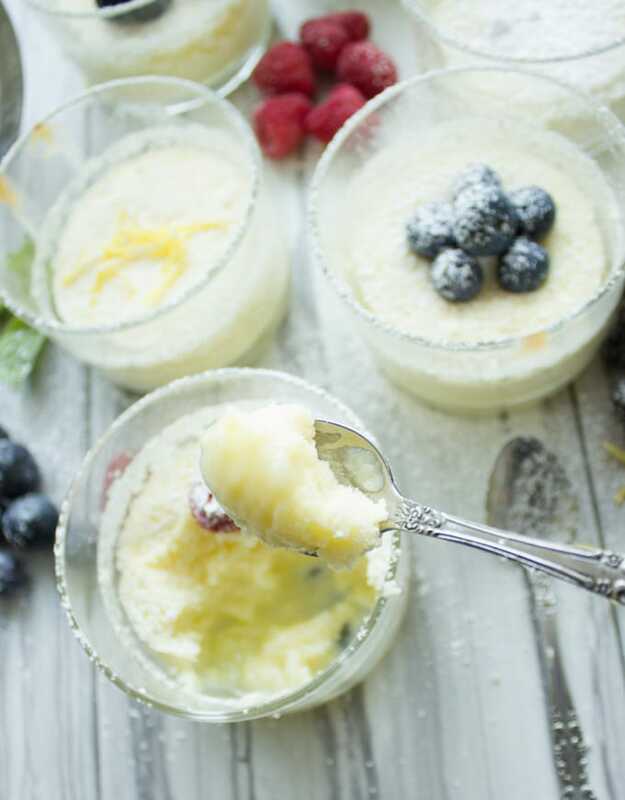 Yet once you dig deeper into the cup, you’ll find something more divine: a creamy luscious lemon pudding sauce. Together it’s a match made in lemon heaven 🙂 It’s similar to those Mini Chocolate Pudding Cakes , however with the chocolate cakes, you need to layer batter, dry mix and then hot water. This easy lemon pudding cake is just one batter, no layering. First of all, this easy lemon pudding cake is really easy. 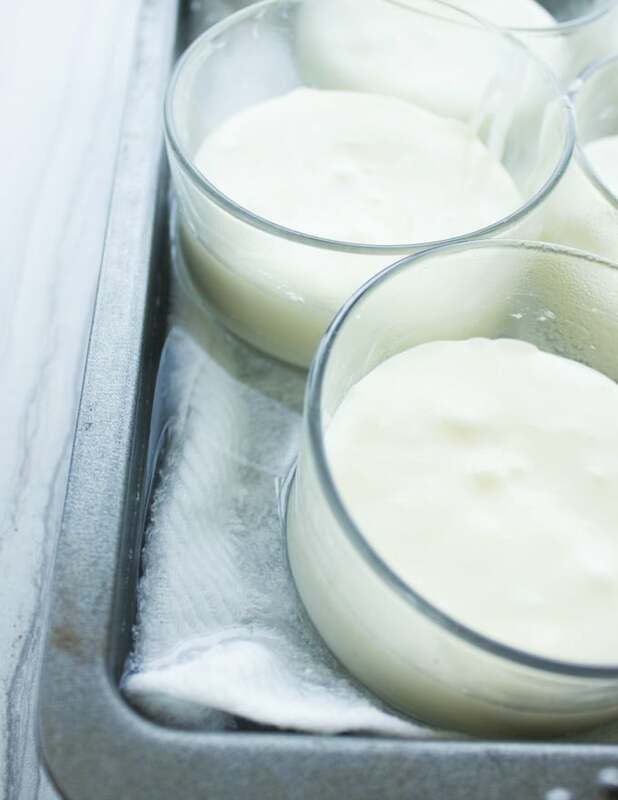 One batter which is made by simply mixing the wet and dry ingredients while saving the egg whites. Once you whip the egg whites you’ll simply add them to the batter. Then you’ll divide that between your ramekins, cups or tea cups and bake it. Here’s the magic. 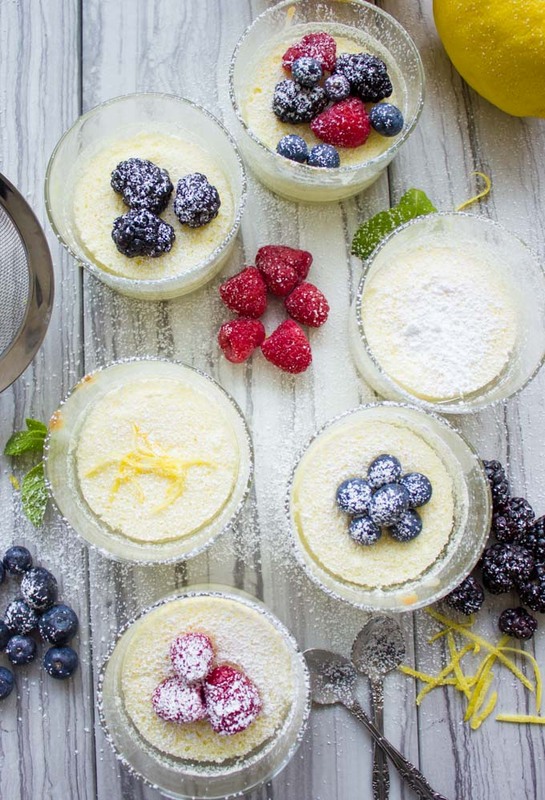 This awesomely easy lemon pudding cake batter will separate during baking. And while there’s some science behind that, I won’t get into details. It’s briefly because the batter has very little flour and plenty of liquid, plus it bakes in a water bath. This is a very essential step. If you’ve never baked in a water bath before, all you need to know is to secure your cups on the baking tray. So for example I’ve added a kitchen towel at the bottom to help keep the cups for sliding here and there while baking. Oh, and by the way, NO that towel won’t burn! 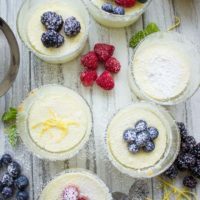 I can’t tell you how many times I get asked this question at my cooking classes each time I make this easy lemon pudding cake recipe. The hot boiling water gets poured right over the towel securing the cups in place and reaching nearly halfway to the height of the cups. I’ve made this lemon pudding cake recipe with orange, grapefruit and a combo of lemon and orange. I can say that they’re all delicious, but feel different. A towel placed at the bottom of your baking dish will prevent any sliding and keep your dessert glasses in place. 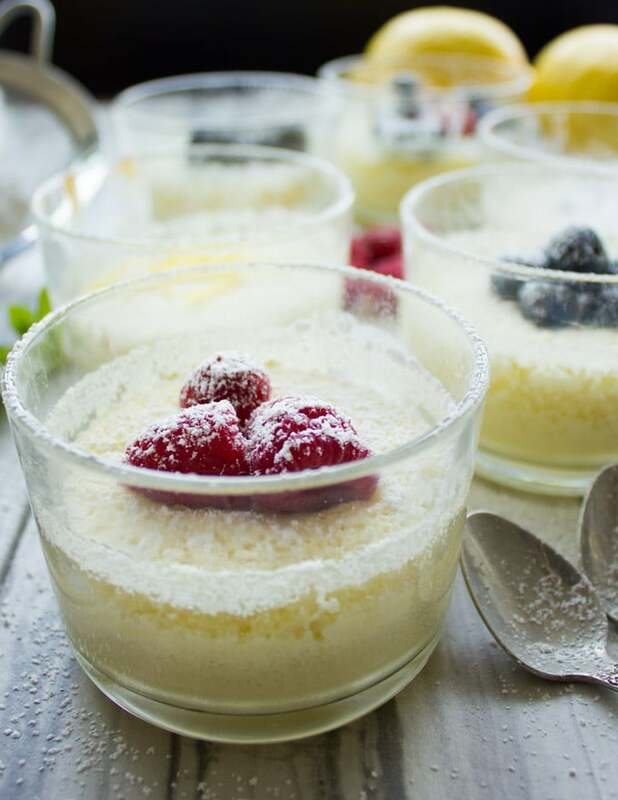 For a pretty presentation, decorate these with a dusting of icing sugar, some fresh berries, and grated lemon zest. These taste fresh out of the oven and cooled to room temperature, but I also really enjoy them chilled. Grease 8 ramekins (6 ounces each) with the unsalted butter for individual servings or one 2-quart baking dish; set aside. 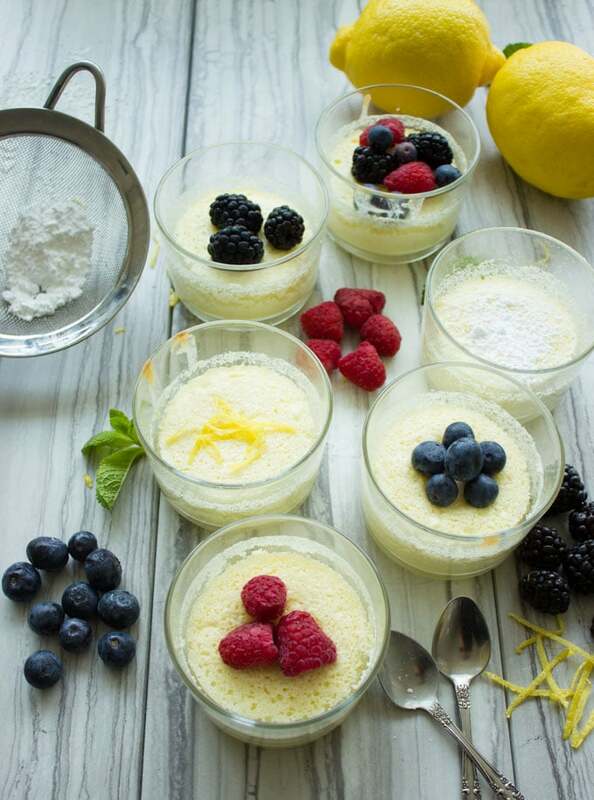 In a large bowl, whisk together the egg yolks, ½ cup of sugar, butter, lemon zest, lemon juice, and milk. In a separate bowl, mix together the flour and baking powder. Add the flour mixture to the egg yolk mixture and mix well. In a clean bowl and with clean beaters, whip the egg whites by using room temperature egg whites and whipping on high speed with a pinch of salt until soft peaks form. 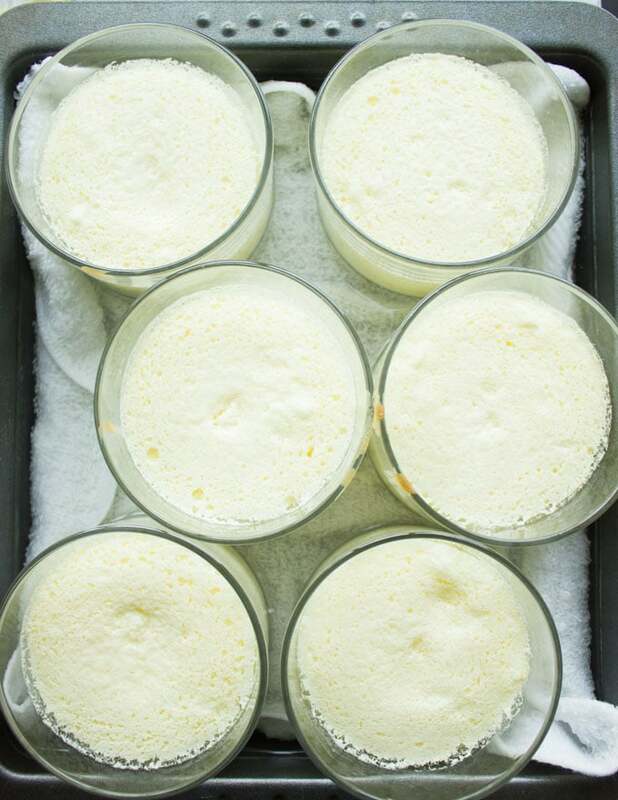 Gradually add the remaining sugar while continuing to beat the egg whites until stiff peaks form. In 3 additions, gently fold in the egg white mixture into the batter using a spatula; be careful not to over fold or deflate the batter. Divide the batter among the ramekins and place on a towel-lined deep roasting pan. Pour hot water into the roasting pan to come halfway up the sides of the ramekins. Bake until the cakes are puffed and slightly golden, about 30 minutes. When done, remove the ramekins carefully using kitchen tongs and a small kitchen towel. 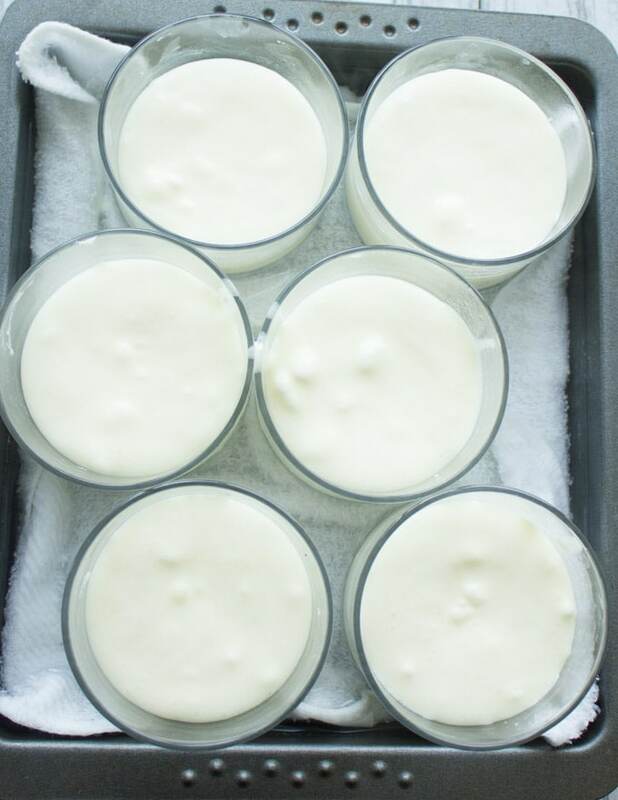 Allow them to cool to room temperature or chill them if you prefer a cold cake. Just before serving, dust the tops with icing sugar. It’s really amazing mahy.I love the idea and the taste . This would be perfect for Easter! I love lemon desserts. I just made these! Fun, easy and yummy dessert for two!! Awesome! Such yummy lemon flavor! Perfect individual-sized dessert!